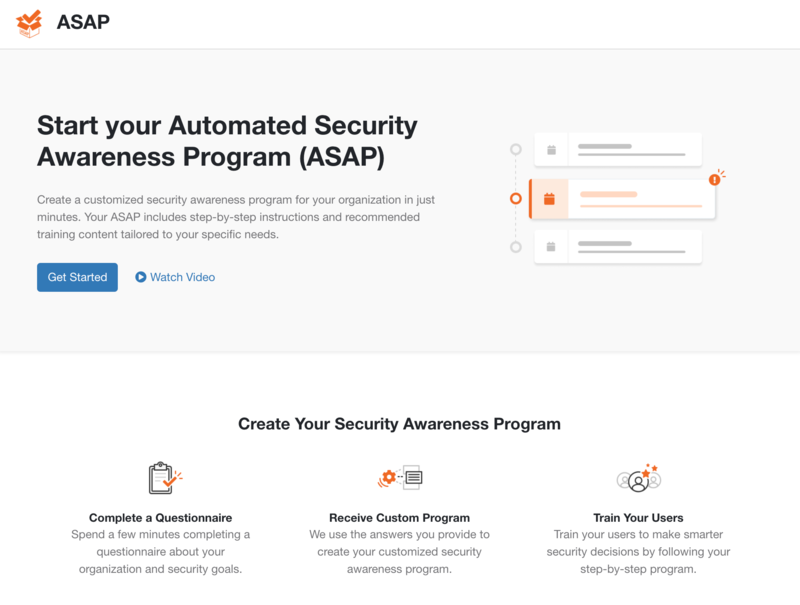 ASAP is a free tool you can use to develop an effective security awareness program for your organization. First, you'll answer a questionnaire about your organization and the goals you want to accomplish with your program. Once completed, you'll instantly generate a customized security plan that meets your unique and specific needs. 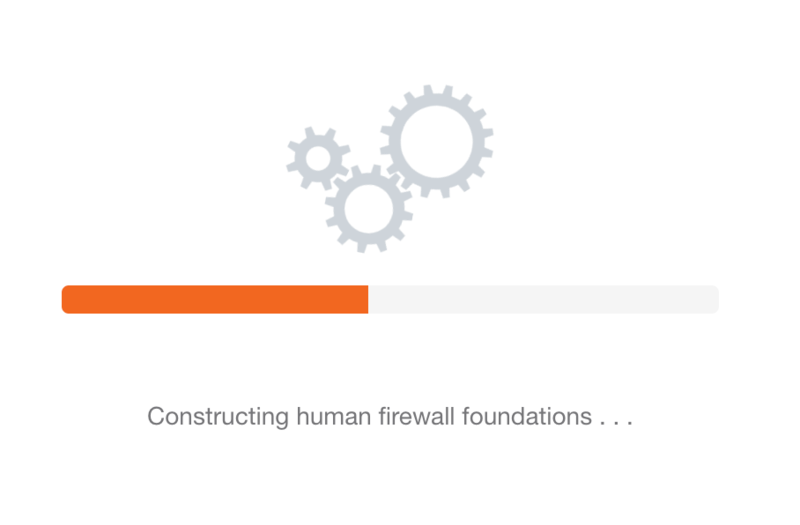 You can use your plan to quickly accomplish the steps you need to take to strengthen your human firewall and prevent users from falling for phishing or other social engineering attacks. If you're a current KnowBe4 customer or already have an account, you can click the "ASAP" tab at the top of your console after logging in to get started with your questionnaire. 3) Click "Generate Program" to see your customized program. Your task list will contain all of the steps we recommend you take to accomplish the goals you designated in the questionnaire. Each step is broken down into instructions and best practices to make these tasks as easy to accomplish as possible. Whenever possible, we will provide suggested content that will fit in with your questionnaire selections. The closest matches will be shown right beneath your task. Once you review the content and decide what you'd like to use, you can click it, mark that task as completed, and your content selections will be saved so you can move on to the next task. Clicking this will check this task off as complete/incomplete so you can keep track of your progress with your tasks. This will allow you to alter the start and end date for a given task. Editing dates will be helpful if you'd like to manipulate your program's timelines to better fit your schedule or adjust your calendar view. Based on your task list and the estimated time of completion, we provide you a calendar to help you stay on track with your security awareness program's goals. If you'd like to change the timeline or due date of any task, simply return to the task list and Edit Dates for that task. Clicking "Download PDF" allows you to download a copy of your program in two forms. Full Program provides you with a PDF detailing the entirety of your program, including an introduction to ASAP, all tasks and their respective summaries and due dates, suggested training content, and more. Executive Summary provides you with a PDF that you can take to your management or executive team that will introduce KnowBe4's ASAP recommendations and summarize your customized security awareness program task list. 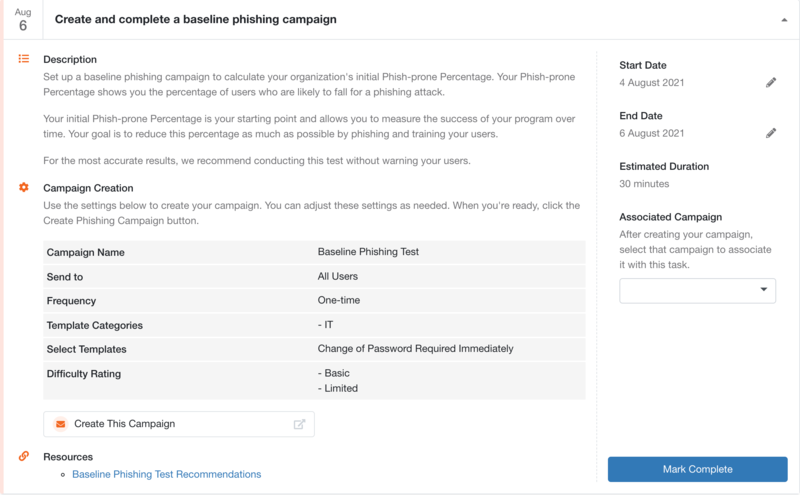 I've already implemented phishing and training using your platform. Can I still use ASAP? Certainly. You can simply mark things as complete if you've already accomplished them. All previous campaign progress will be saved--nothing will be deleted or removed from your platform as a result of using ASAP. I want to change the start date of my program. How do I do that? Click the Change Start Date button at the top of the screen if you need to change the start date to better fit your timeline and schedule. I don't like the results of my program. Can I reset it and start again with a new questionnaire? Yes! KnowBe4 customers can reset their program as many times as they wish by clicking the "Reset My Program" button. 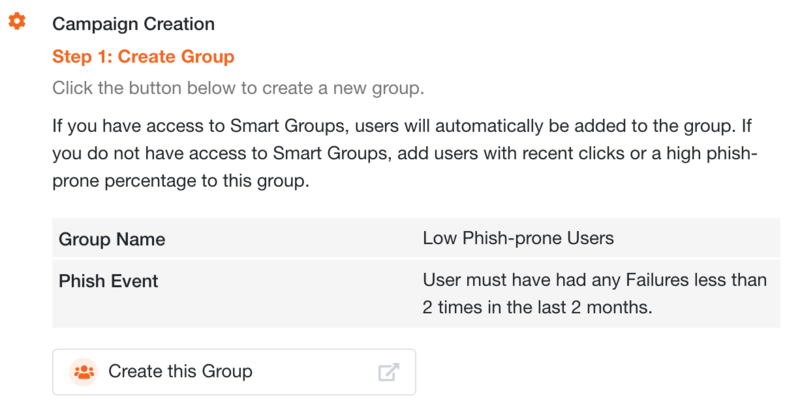 Any progress you've made so far and phishing/training campaign data will be saved. You will simply start over with a fresh questionnaire and a newly-generated task list. If you're not a KnowBe4 customer, one of our security consultants can reset your program so you can retake your questionnaire. Just contact our Support team. Do you have a short summary of my program that I can share with management to gain support? Absolutely. Click the Download PDF button towards the top of the screen and click Download Executive Summary. 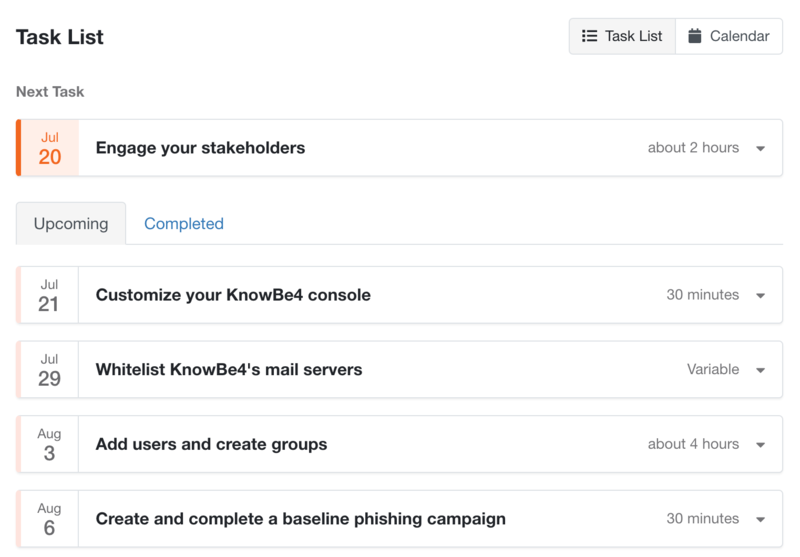 It will provide you with a letter summarizing KnowBe4's ASAP recommendations as well as your customized task list. Do you have a sample security awareness policy I can use a starting point for my organization? We do! As part of your first task "Engage your stakeholders", we encourage you to establish a security policy in your organization so that your users and management know what requirements your program will have and if applicable, what remediations that will take place if users do not meet these requirements. You can download the sample policy from your first task.